Recently, I was listening to an interview Diane Rehm did on public radio with David McCullough, Jr. At one point, he remarked that creative passion cannot be taught. It can only be caught. I thought that was so true. Everyone needs a passion to create something; it is the fire that burns to get one going, to get one out of the bed in the morning. A dear friend of mine, alas, has lost any passion for anything, let alone anything creative, and she is seriously adrift. Another friend reminded me this week how important a passion for needlepoint was for her. Not surprising, as she creates the most wonderful art with her skillful needle. Perhaps artists of all descriptions are very fortunate to burn with a passion to create. It gives coherence and meaning to life, even if it does mean that one is driven by a sometimes stern taskmaster. I am not sure that such passion even implies that the artist has clearly defined objectives on all occasions. Sometimes one blindly gropes, only knowing that you have to start work on creating something. With time and experience, the artist knows that that small inner voice will help with the creative process, acting as guide and critic. Nonetheless, it is the energy from passion that motivates and drives the artist to work. There are so many examples of artists, in all disciplines, who are driven by their passion. Degas, for example, was single-minded in the extreme; he devoted his entire life to drawing and painting, even as his eyesight hindered him more and more. As he remarked, "No art was ever less spontaneous than mine. What I do is the result of reflection and of the study of the great masters; of inspiration, spontaneity, temperament, I know nothing." But he drove himself. His series of studies of dancers was a huge part of his opus, a passion to which he returned again and again. Edgar Degas, A Dancer at the Bar, charcoal and white chalk. Passionate or obsessive - sometimes it is hard to differentiate for the outsider who is observing the artist. The drive to create can sometimes seem like an extreme - think of Beethoven as he composed magnificent music whilst struggling with his deafness. 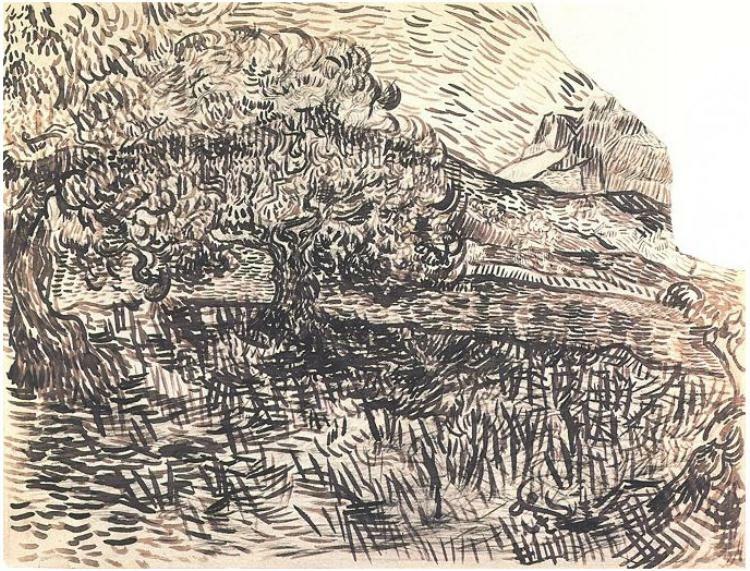 I am sure that the passion/madness of Vincent van Gogh is one of the most famous of cases of visual artists driven to go on working. 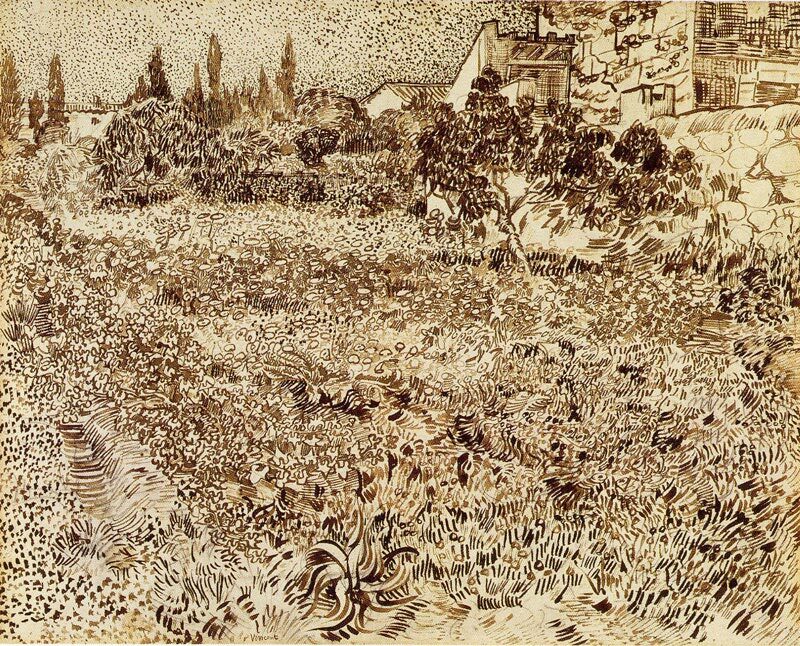 The years 1888- 89 were the example of a time when Van Gogh was into the most astonishing mark-making, requiring such energy and application. Clinging to his art, he worked and worked at these drawings, in the sunlit countryside around Arles, mostly using a reed pen and ink. Here he was returning to his belief that drawing was "the root of everything." As one's own passion to create is sometimes dimmed by the quotidian, with daily life chipping away at time and quiet, it is good to remember that the flame inside can still burn. It may burn less brightly at times, but it is still there. That makes life very special.